We offer Counselling/Psychotherapy and Coaching in central Ilkley and surrounding areas including Addingham, Burley-in-Wharfedale, Bradford, Baildon, Bingley, Cross Hills, Menston, Guiseley, Harrogate, Keighley, Leeds, Otley, Silsden, Skipton and the Yorkshire Dales. 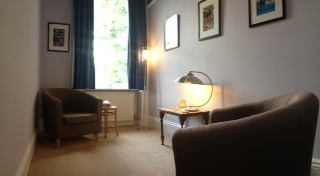 We are based in central Ilkley (just off The Grove) in a dedicated counselling/coaching room which offers a confidential, calm space to talk. On Google Maps. We also work in Leeds (see below). There is free parking on the street and a main car park a couple of minutes walk from us. Five minutes walk from Ilkley Metro Station. Paul is also available to see clients for counselling at Leeds Therapy Complimentary Centre, 249a Otley Road, Leeds LS16 5LQ. See Leeds Psychotherapy.